Lakshmi is also called Sri and she is a Hindu goddess of wealth, health and prosperity. Also Early Buddhists thought her the goddess of abundance and fortune. Her image is found in some of the oldest temples in Tibet and Nepal. 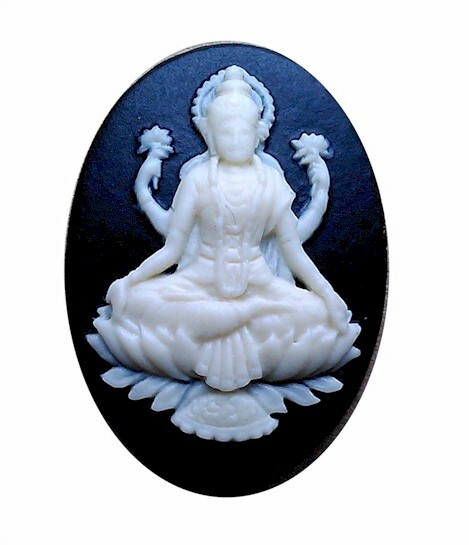 This is an unset resin cameo black and ivory coloring.